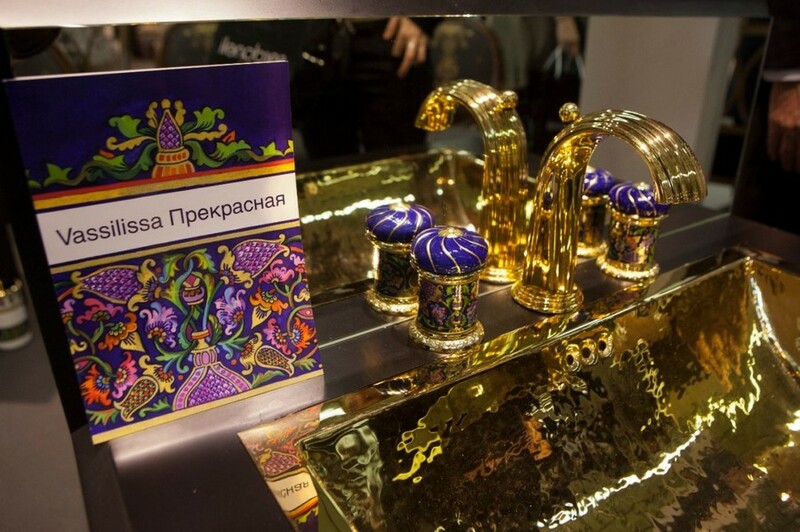 One of the latest collections launched by a French bathroom brand Serdaneli appeared to be very Russian. 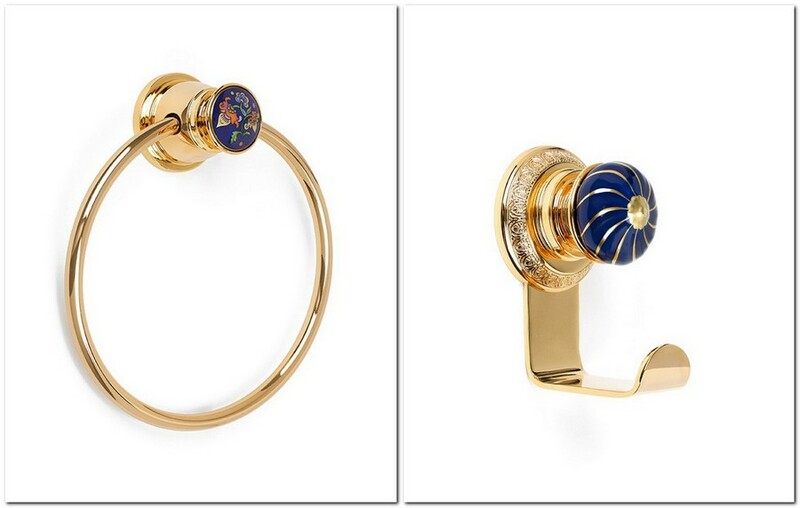 And this is not surprising – it was inspired by one of the most famous Russian fairy tales and created by a Russian author, Evgenia Miro. 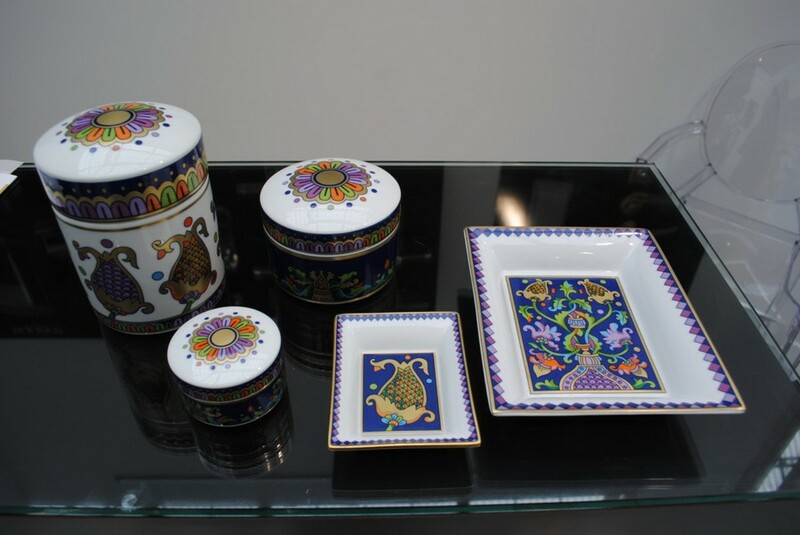 But the most amazing fact about this collection is that it started from a china set! 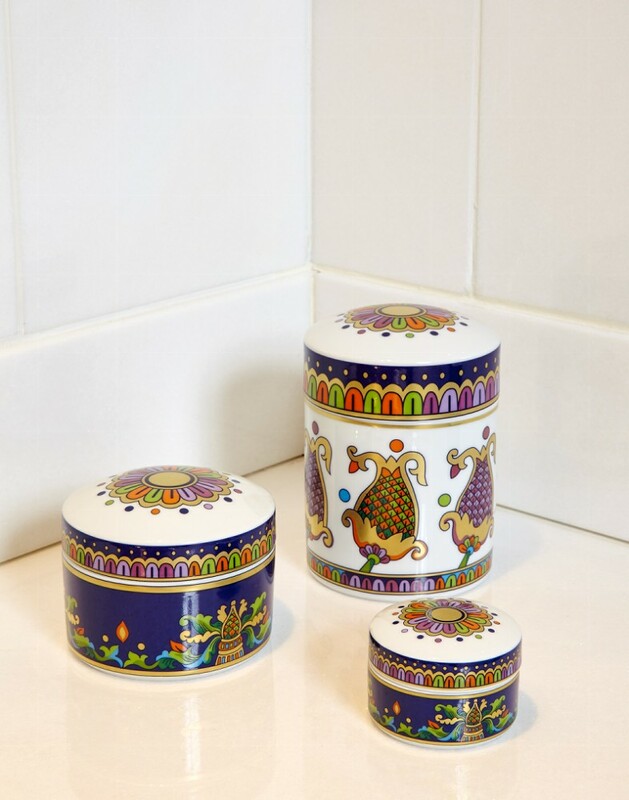 Representatives of the Serdaneli brand confess that they have been bearing the thought of creating a collection dedicated to Russia and amazing folklore of this country for many years. And the story of Vasilisa the Beautiful, which has inspired so many prominent artists for creating their beautiful pictures, was what really made them tick. Eventually, the choice was set upon Evgenia Miro, a talented designer known for her skillful play with colors and patterns and amazing skills of working with textile and mosaics. Evgenia’s talent was admitted by cooperation with such iconic French brands as Pierre Frey, Emaux de Longwy, Beauvillé, J.Seignolles, Haviland, and by Hermes fashion house. 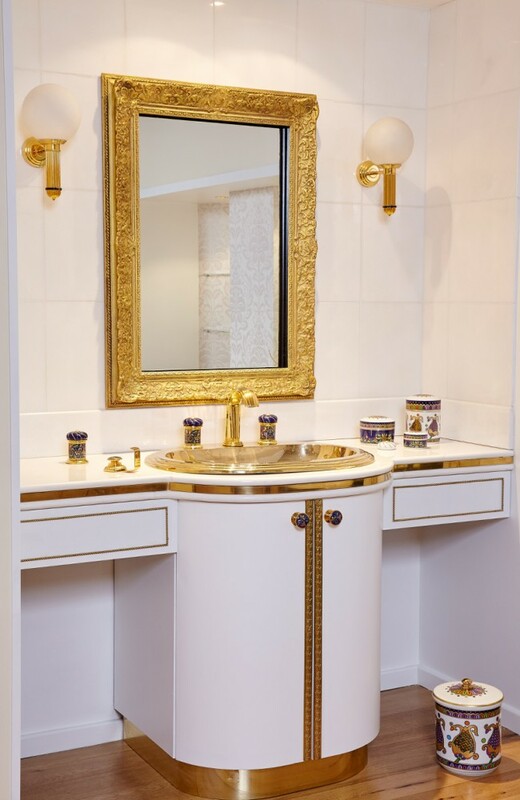 It all started from the invitation to the Haviland Company, one of the leading manufacturers of stunning French porcelain known around the globe. Evgenia was entrusted with creation of a new tableware collection and the work began almost instantly – she had plenty of ideas in mind. One day when she was busy with the china set, she was visited by the president of another iconic premium brand – Serdaneli. Having looked through the sketches, he was so astonished that asked Evgenia to create a bathroom collection for his brand, which would be as beautiful and rich as that one. The thing that pre-determined this collection was the color. Palmettes and foliage harmoniously intertwine with green, yellow, orange, purple and golden hues on the royal blue background. 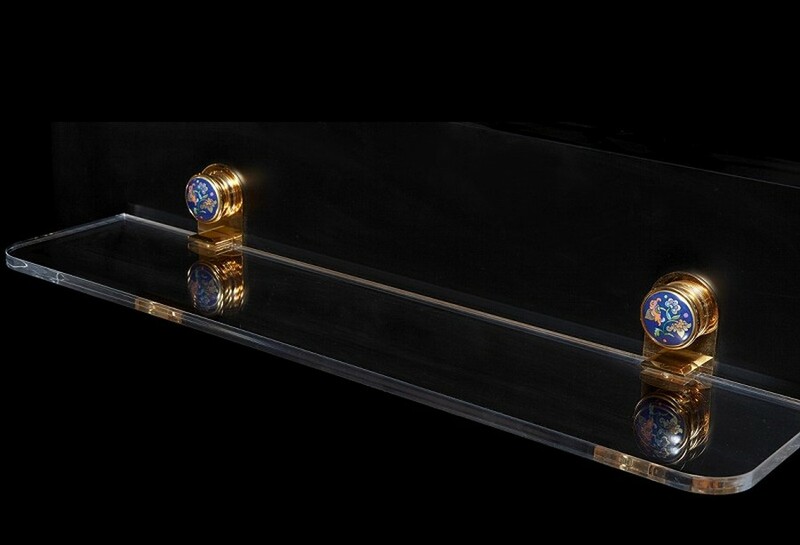 The new collection of bathroom accessories implemented in gold-plated metals and porcelain was named Vassilissa. The author of the collection was given total freedom. Two weeks were spent on scrupulous paintings, since the fineness of the drawing was supposed to transfer the plastic beauty of the tiniest details when printing. 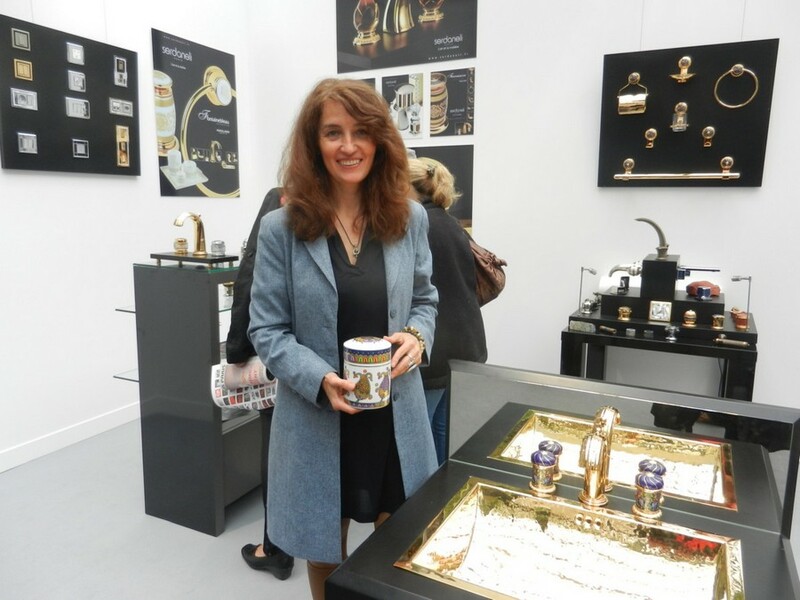 At the next meeting with the president and the porcelain expert she showed them the design of the future collection. Together they got down to counting the number of color shades enshrined in the pattern to get a good idea of what the price of transferring the image to porcelain would be. They ended up with too many – about 20. And the president made a very French decision – to leave only 7 and add gold! Every inch of the future set was stipulated at the meeting. Then the porcelain expert adapted the paper drawings for printing on china, and very soon the final products were shown in Moscow and Paris. 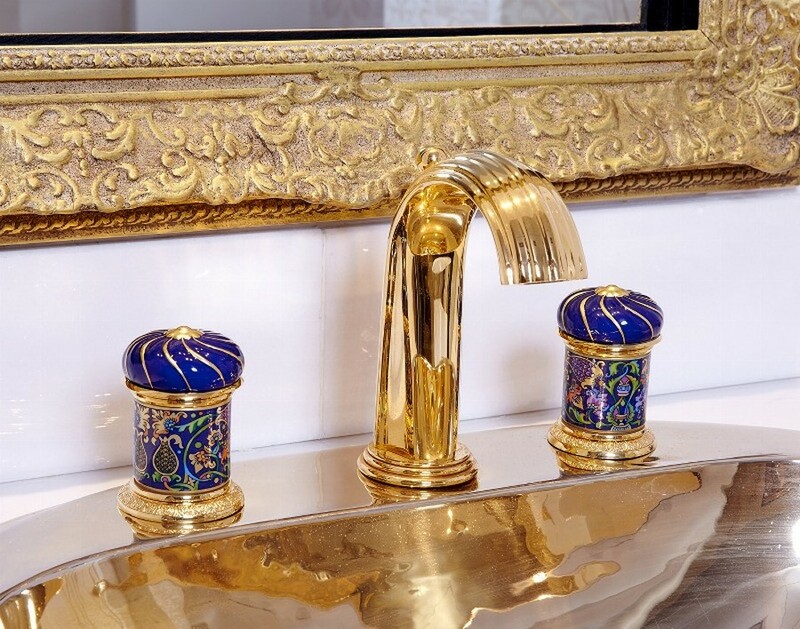 Complemented with golden strings and with details shaped like golden domes of orthodox churches, the Vasilissa collection is represented by versatile accessories for bathrooms. 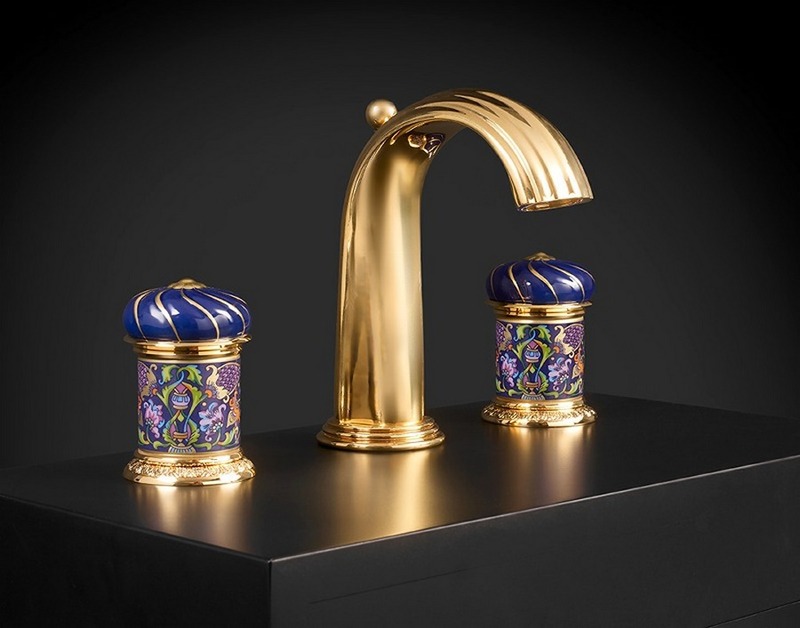 With this line Serdaneli starts a new era, since such a bold combination of previously unused characters and motifs can make a most luxurious interior customized and unhackneyed.